List of Engineering Colleges In Lucknow Uttar Pradesh: Lucknow is the capital of Uttar Pradesh, India. A well-known city for administrative. It is also called “Nawabo Ka Shaher”. There are some nicknames too like The City of Nawabs, The Golden City of India. Constantinople of the East and Shiraz-z-Hind. Lucknow is the largest city in Uttar Pradesh and the 12th most populous urban agglomeration of India. Lucknow city is famous for its multicultural. Every year, lakhs of tourist came here to visit this amazing city. There are some beautiful places like Bada Imambara, Charbagh Railway Station, Rumi Darwaja, and Ambedkar Memorial Park people can visit. As it is the capital of Uttar Pradesh so it is obvious that the headquarters of different departments. It has an important center of governance, Administration, education, commerce, aerospace, finance, pharmaceuticals, technology, design, culture, tourism, music, and Poetry. There are so many prestigious Engineering Colleges and Universities. 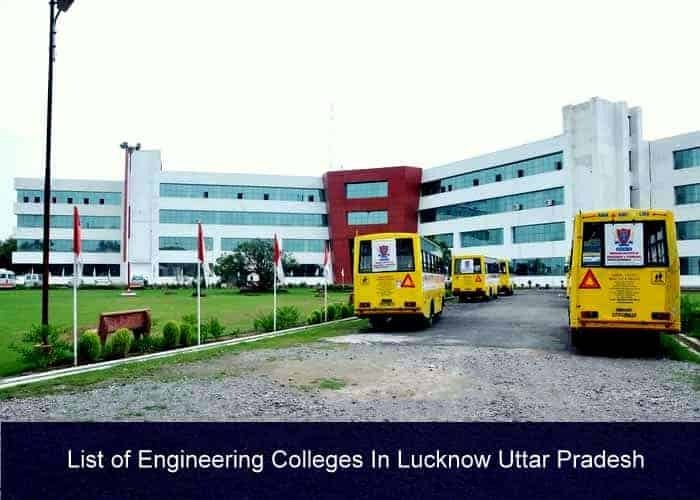 In this article, we are providing a complete list of Engineering Colleges and Universities in Lucknow city. Most of the colleges will fill their B.Tech, MBA, B.Arch, and MCA seats through UPTU Entrance Exam.